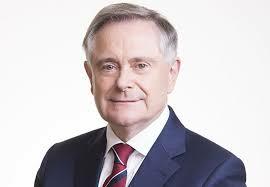 The withdrawal of EIR from the rural broadband procurement programme “leaves more than 500,000 homes and businesses with no prospect of viable connectivity in the years to come,” that’s according to Labour Party Leader Brendan Howlin. “The seeds of the current lack of broadband were sown when Fianna Fáil privatised Telecom Éireann in 1999, removing the capacity of the State to ensure a high-speed network was developed quickly and for all areas. “There are hundreds of thousands of homes and businesses across the country currently without access to high-speed broadband. 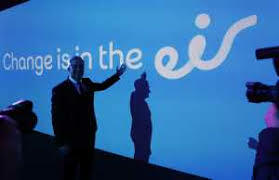 “The tendering process collapsed yesterday when Eir withdrew, the second bidder to do so. A tendering competition with one bidder is not a procurement process and I say that as the person who as Minister brought the last three procurement directives through the European Parliament. The notion that the Minister would now portray this latest development as a good thing is delusional at best and cynically misleading at worst. “There is only one bidder so, by definition, the State now has no choice as to who will deliver the national broadband plan to 500,000 homes and businesses and it will only happen if the price of Enet can be afforded. “The incompetent way in which this has been handled leaves the State over a barrel on price and the timeframe of implementation. In effect, the country is now snookered and the Minister and his Department have lost control of the process. The delays in rolling out the plan have allowed the dominant, near-monopoly player to increase its market share. “The original basis of the plan was critically undermined when the Minister allowed Eir to cherry pick over 300,000 homes in April 2017. Was there an evaluation of the plan at that time, or of the consequences of that decision? If one removes all the lucrative parts of any contract one should not be surprised when private businesses, which already dominate the market, decide they already have what they want and walk away from the process. “The Minister, Deputy Naughten, must take responsibility for this disaster. He managed to turn what had been a solid process into a mess, all in less than two years. SIRO, a joint venture between the ESB and Vodafone, withdrew from the tendering process in September stating there was no longer a business case once those 300,000 premises had been removed. That only left Eir and Enet. “The Minister has facilitated a market grab by the largest player in the field, which already has a dominant position. Through the delays in delivering the plan, Eir has been able to build an even more dominant position and undermine the prospect of a credible roll-out plan. “The process over the past two years has driven credible providers out of the market. Yesterday’s news leaves more than 500,000 homes and businesses with no prospect of viable connectivity in the years to come. Will the Government apologise to those who will now wait years for broadband, with no clear timeframe for when they will get it?